OnePlus’ co-founder Carl Pei. In an interview with TechRadar, said the decision was justified. “We found 59% of our community already owned wireless headphones earlier this year – and that was before we launched our Bullets Wireless headphones,” he said. The expectation is that the real estate that is gained by not going for the headphone jack will help them add a better battery to the upcoming device in addition to the in-display fingerprint scanner that the new phone is confirmed to be having. OnePlus, today announced that it will be introducing an updated USB-C version of the company’s acclaimed Bullets V2, dubbed the Type C Bullets. These new earphones are set to be launched alongside the company’s next device, projected for Q4 2018. The Type C Bullets priced at INR 1,490 will be available across online and offline channels. The new Type C Bullets will be based on delivering a superior soundscape and will be a step up from Bullets V2, once again effectively balancing design with utility and versatility to enhance the overall audio experience. The Type C Bullets will echo the metal design of the OnePlus Bullets V2. Each detail of these earphones is crafted with the unique attention to detail that OnePlus is known for – for example, to make Type C Bullets easier to use, the company has added aramid fiber to the wire in-order to make the Type C Bullets more durable and resistant to stretching. The Type C Bullets include improved sound quality. Music is heard how it was intended to sound thanks to a built-in high-end, professional DAC by Ciruss Logic. It has a higher dynamic range, higher signal-to-noise ratio and low noise floor. When compared to the 3.5 mm jack that uses analog, Type C headphones ensures minimal loss of quality for a superior audio outcome. According to a survey conducted by OnePlus, in early 2017, 80% of users used in-jack headphones regularly, while, in a poll in 2018, that number dropped drastically with 59% of users switching to wireless headsets. 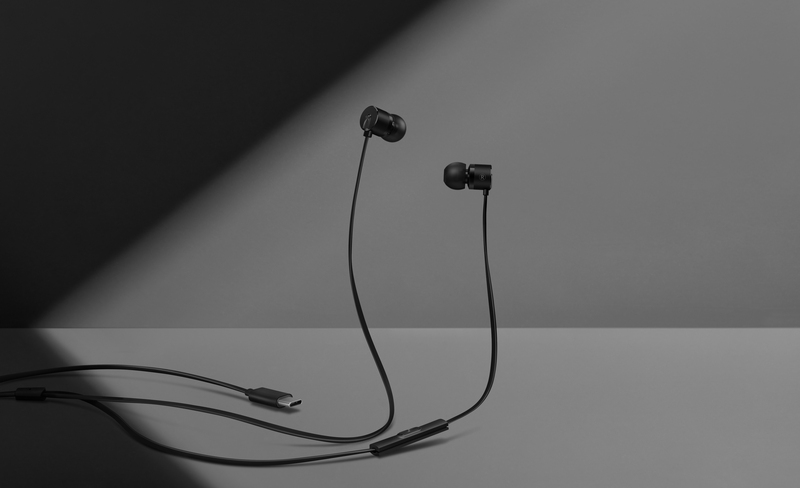 OnePlus is again demonstrating its flexibility, offering options for different users by developing Type C Bullets to complement the already revered Bullets Wireless. Type C Bullets are compatible with any Type C USB port, and pair beautifully with OnePlus devices, allowing users to adjust the sound enhancement configuration for a more customized sound.